Come and explore paradise at Waikele Towers. 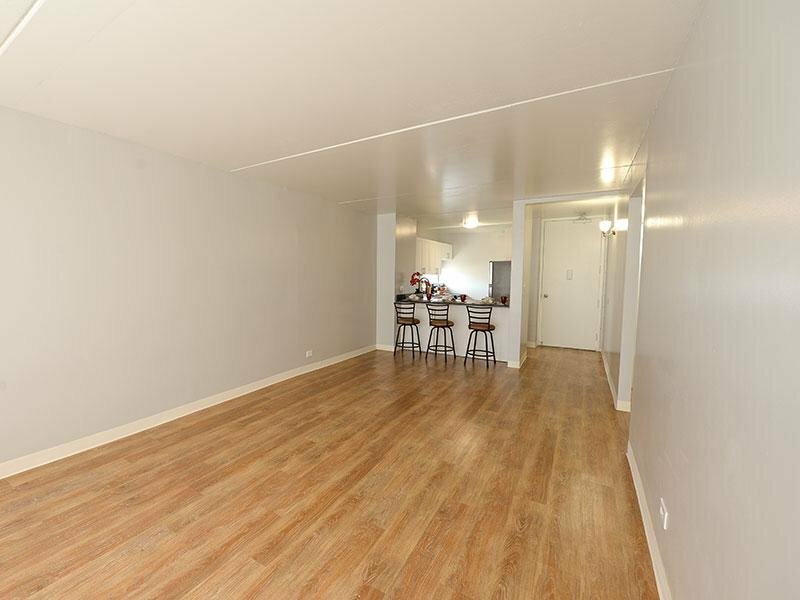 Plank style flooring, stainless steel like appliances, new cabinets/counter-tops and more! 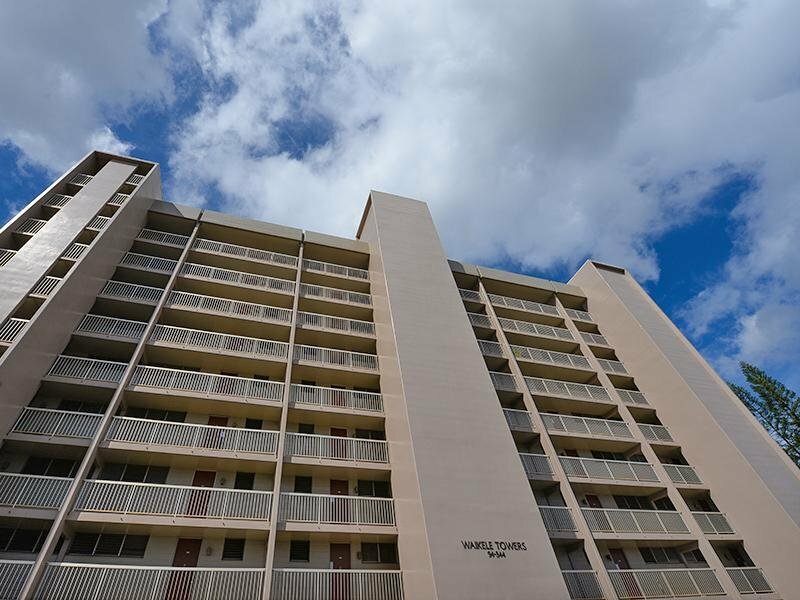 Waikele Towers represents a unique and rare off ering which includes 50 units comprised of 2 bedrooms 1 bath each in a 9 story masonry and concrete building. The property has 63 parking stalls, a manager’s offi ce with restroom, laundry room, and storage closets on each fl oor. 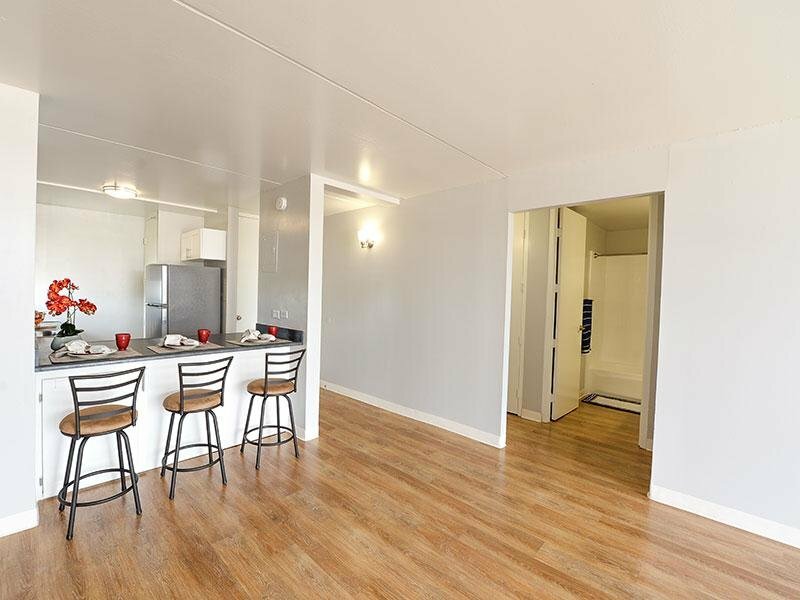 Each unit enjoys separately metered electricity, its own water heater and its own balcony. The property was recently fully painted and had a new roof coating. Pride in ownership and onsite maintenance has kept this property in excellent condition. Conveniently located minutes from the major highways. Commuting to/from work & school is a breeze. 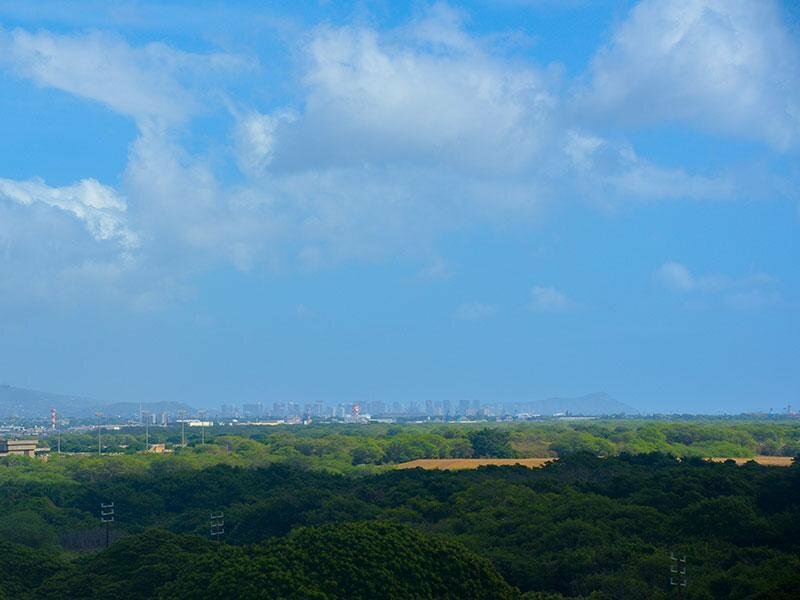 Waikele Towers is a 5 minute drive to the University of Hawaii West campus, a 10 minute drive to Scofield Barracks & Wheeler Air Force Base & a 20 minute drive to downtown Honolulu. Here at Waikele Towers our professional staff and maintenance team personify the Aloha Spirit, providing warm and friendly service to make your stay an enjoyable one. 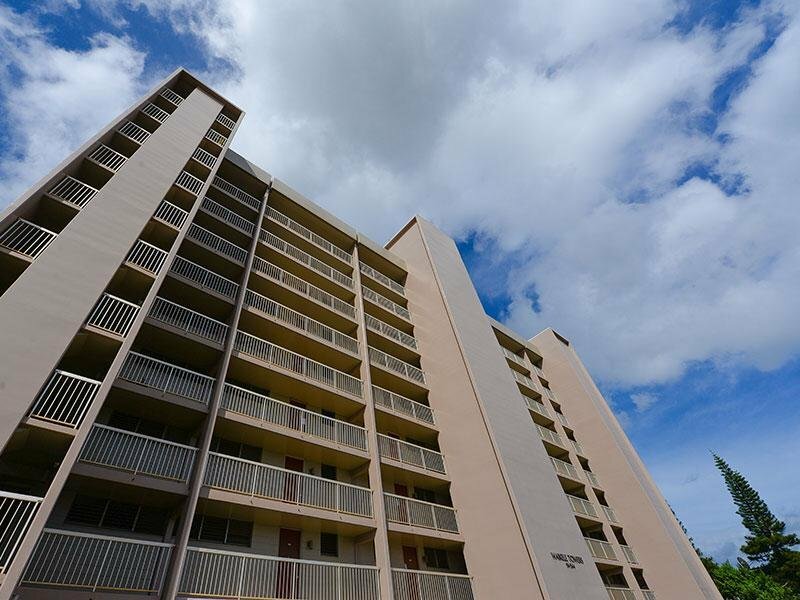 Tour our photo gallery and contact us to make an appointment and see why Waikele Towers is the place to call home! 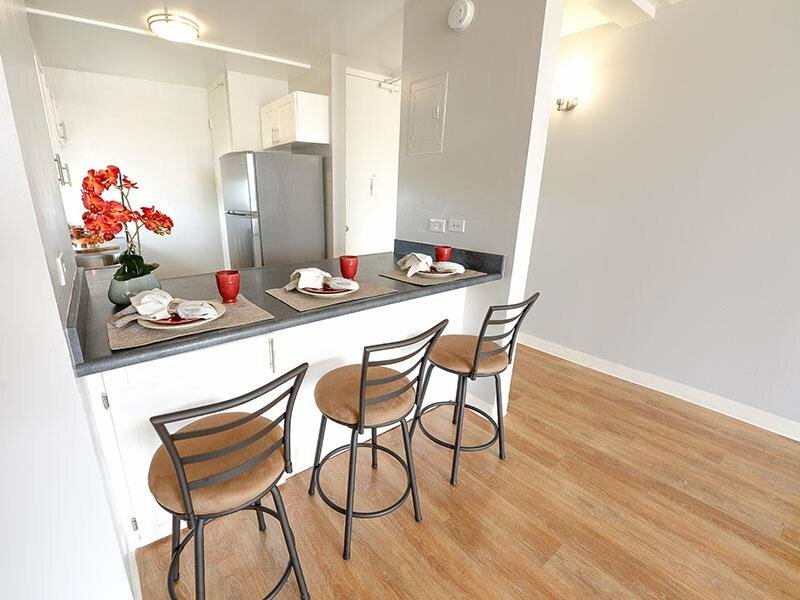 Everyday living is made easy with the convenience of local shops, restaurants, parks, theaters, the new Ka Makana Aliâ Ti shopping center, Military Bases including: Schofield Barracks, Wheeler Air Force Base, Joint Base Pearl Harbor and the ease of access to the H1 Freeways and Farrington Highway is only minutes away! Waikele Towers Apartments. All rights reserved.